This fun little activity book is a great resource to help children and adults learn the Bible while keeping busy. The Bible story activities help reinforce Bible story lessons, and include puzzles, mazes, secret codes, dot-to-dot, and much more. Itty Bitty: New Testament Activity Book was published by Warner Press in January 2013 and is our 1974th best seller. 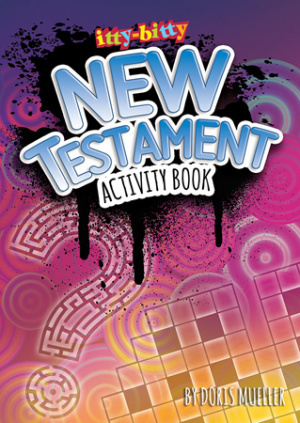 The ISBN for Itty Bitty: New Testament Activity Book is 9781593174781. Be the first to review Itty Bitty: New Testament Activity Book! Got a question? No problem! Just click here to ask us about Itty Bitty: New Testament Activity Book.